Have you been good? 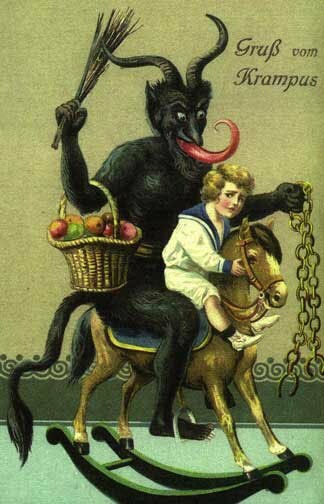 Or will the Krampus whack you with his sticks — or put you in chains and take you off in his basket? That was awesome! Not least because it's been ages since I've seen a whole episode, which is kind of shocking because I do love it, just no time for anything lately. The Krampus bit of the war on Xmas section was hilarious. I can't believe they used the same card! Thanks, Todd. Much appreciated.